Books can provide a foundation for learning about preschool anatomy. Arts and crafts make a great follow-up. Spend time reading and talking about the different parts of the body. Also focus on the five senses. A great series is the Rookie Read-About Series of books, which has numerous titles that include real-life photographs and child-friendly text. 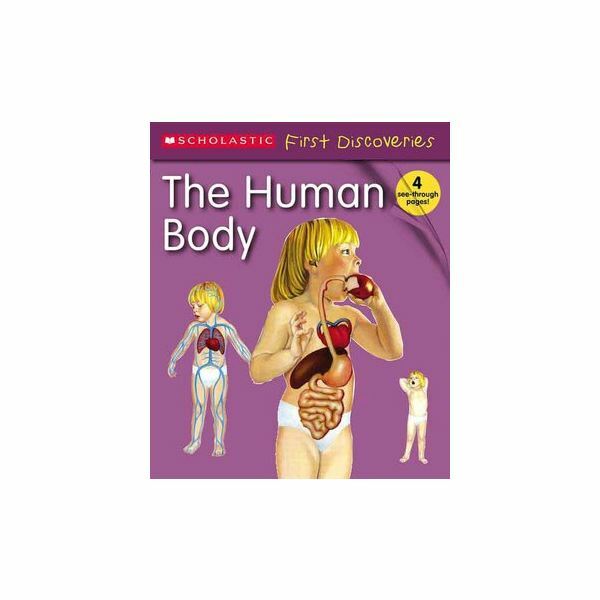 Another great book to use is the First Discovery book about the human body. After reading and discussing these titles at circle time, make them available for children to independently look through. Also include books for older children, as long as they have a lot of pictures in them. The pictures fascinate the children, and you can scale back the given information to better accommodate their level. Sometimes, children will independently create their own craft projects revolving around the human body. Otherwise, try a few of these ideas. A classic way for children to associate the parts of the body with themselves is to do a full body tracing project. Locate a roll of craft paper, or tape together a few sheets of large easel paper. Thinner paper, such as newsprint, works well for simple drawings. Use thicker paper or poster board for those who are going to create more of a three-dimensional person. Have the children try to estimate how much paper it is going to take to fit their bodies, and let them help measure it. Include the child's name and date. The child should then lay down on their back while you trace around them with a pencil. Sometimes another child may want to be the tracer. Once the child is traced, they can then use books from the shelf, as well as mirrors in the classroom, to try to create a likeness of themselves. Some children may focus solely on the external appearance. A few may venture into drawing internal organs. Direct them accordingly, but remember that this is how they see themselves. Some children may wish to create clothing to cover the body when they are finished. They may wish to add yarn as hair. Allow them to be creative with art supplies on hand. Give children a mirror and an oval shape. Let them design their own face, using multicultural-friendly markers or crayons. Allow them to add other items as they deem necessary. Blow up balloons and tie them off. Have the children cover the balloons with strips of newspaper dipped in watered-down glue, to make paper-mache. A few layers will be necessary, doing one layer a day. Let the balloons dry for a week, then pop the balloon and remove it. Children can use non-toxic, washable tempera paints to paint and decorate their own heads. Refine those fine motor skills by rolling and pinching Play-Doh and or an air-drying clay to create a miniature head, or even full body. Use a lighter color so that it can be painted when dried. Modeling clay will not work, as it does not dry. Children can get an idea of the location of internal organs by making a body vest. Use paper bags from the grocery store. Cut a head hole from the bottom of the bag and armholes on the sides of the bag. Then, cut straight down the front. Now the child can put it on. Color in drawings, made to scale, of the important internal organs (heart, lungs, ribs, stomach, etc.). Overlap them on the bag so that when the child is wearing the vest they are in the proper location. Cut them as necessary to be able to open and close the vest. Great resources for this project are the body teacher resource books by Scholastic. Though they are designed for use with grades 3-4, the Blackline Masters are easily adapted for use with younger children. Adjust page sizes as needed on the copy machine. Children can creatively develop all kinds of other wearable art that focuses on anatomy. Measure paper needed to create a "cast" for an arm or a leg and draw the bones or arteries and veins inside. Draw a swirl of lines that represent the brain on a piece of white cloth that can be tied on like a bandanna or "do-rag." Create a paper necktie that shows the esophagus and ends in a stomach. Tape a badge designed like a heart or other internal organs directly on to clothing. Create a skull out of a paper plate and wear it as a mask. Find inexpensive white t-shirts, socks, gloves, etc., and have children draw the internal parts on them, and then wear them. Be creative when getting kids involved as you teach preschool anatomy. Arts and crafts, especially ones that they can wear or create using their own body as a model, will have a much more lasting impression on them.